This is much like the last, but it is a taller and more slender plant, usually about ten inches high. 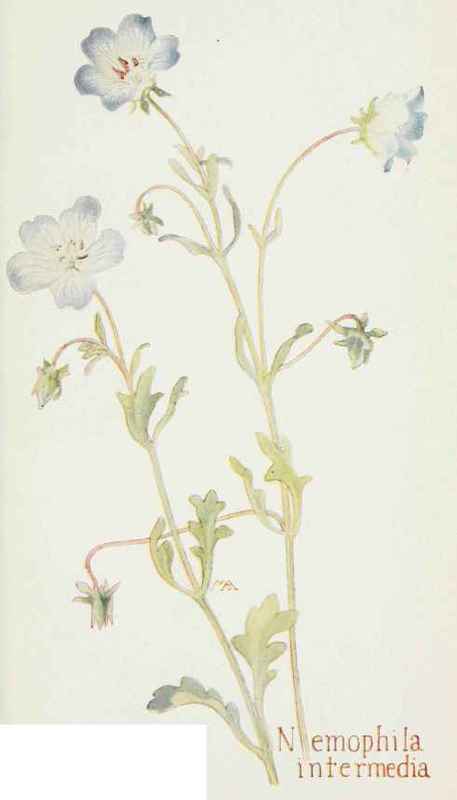 The lovely delicate flowers are less than an inch across, with light blue corollas, usually shading to white at the center and delicately veined with blue, or speckled with purple dots. This grows among the underbrush.